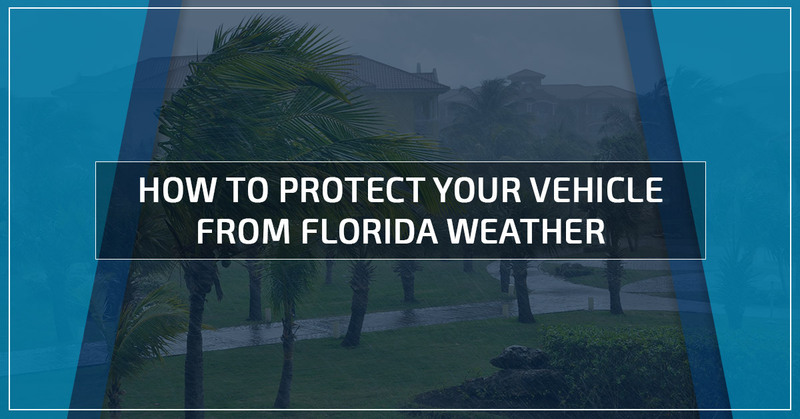 Whether it’s your car, bicycle, or boat, Florida’s weather can pose a problem to your vehicle. Even if you are lucky enough to live in a location that isn’t affected by hurricanes or hail regularly, if you live in Florida you (and your vehicle) get plenty of sun, heat, and rain, all of which can cause costly damage. Knowing what the dangers are and what to do about them can help you be a better owner/operator and put more money in your pocket. In the sunshine state, the sun relentlessly beats down most days. Although this is ideal for golfing or heading to the beach, it is less than ideal for your car. Exterior paint and interior fabrics can sunburn overtime, compromising the integrity of the materials. Paint colors can fade in unsightly patterns and cause cracks and chips. It is recommended to park your car in the shade, carport, or garage. 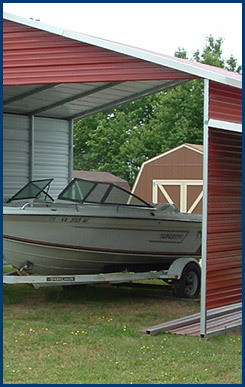 When you are unable to find a structural hiding place, using a windshield sun protector can help protect the interior. On a beautiful spring day when the ambient temperature is in the low 90s, a vehicle’s internal temperature can quickly reach 145 degrees, and when parked in direct sunlight, can easily reach 195 degrees! Materials in the vehicle can literally begin to melt! To help prevent temperatures from climbing to oven-like, it is recommended to park in the shade and crack your windows. As every Florida resident knows, cracking your windows isn’t always ideal with guaranteed afternoon showers. Heat can also have a devastating influence on your tires. Simple physics teaches us that heat expands, and your tires are not exempt. When the air in your tires warms it can expand your tires to unsafe levels; it is important not to over or under inflate your tires and continuously monitor tire pressure. To make matters worse, parking on hot pavement can cause a heat on heat situation, when friction is applied, can lead to a blowout. To prevent heat-induced tire failure ensure that your tires are always properly inflated and try to park under shelter whenever possible. Heat can have serious effects on your engine as well. Fluids can boil when temperatures get high enough or the vehicle is parked in direct sunlight. High temperatures and the increased use of accessories, such as air conditioning, can induce additional stress on engine components. Regular maintenance is critically important in hot weather environments to ensure your car performs to its peak. Along with the tagline, sunshine state, Florida could also be referred to as the wet state! If there isn’t a storm, afternoon rain showers are a reminder that even the clouds get too soggy to hold in all the humidity. All this moisture can introduce mold into your vehicle. In general, water on your car and splashing up under the hood isn’t a huge cause for concern, but excess exposure or flooding can be detrimental. When possible, it is better to have your car parked under a vehicle umbrella, such as a carport, to protect it and caution should be exercised when driving in wet or flooding conditions.